In a coordinated defense of religious liberty, at 11 a.m. yesterday 43 Roman Catholic organizations filed a dozen lawsuits nationwide to strike down the HHS mandate. 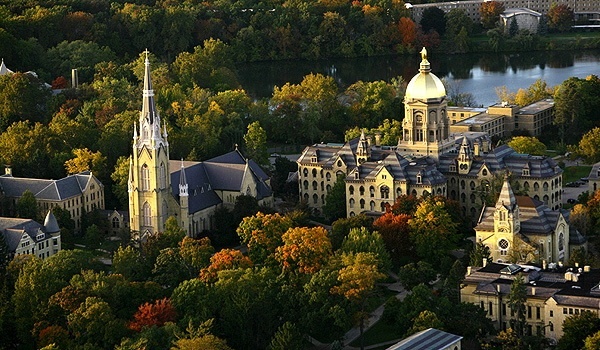 The plaintiffs include some of the most significant organs of the U.S. church, including the Archdioceses of New York, Washington, D.C., and St. Louis; the Dioceses of Dallas, Fort Wayne-South Bend, Ft. Worth, the Michigan Catholic Conference, Pittsburgh, and Rockville Centre; the University of Notre Dame, Catholic University of America, and the Franciscan University of Steubenville; and Our Sunday Visitor. “The Catholic rebellion has begun,” said Catholic League President Bill Donohue in a statement e-mailed to LifeSiteNews.com. The HHS mandate “amounts to nothing less than a grave threat to our constitutionally protected First Amendment right to freedom of religion,” said Franciscan University President Father Terence Henry, TOR. He added, although they never envisioned taking such a step, the board of trustees unanimously approved the lawsuit. Our Sunday Visitor linked its involvement to the legacy of its founder, Fr. John Noll, who fought the political clout of the Ku Klux Klan as that organization attempted to impose anti-Catholic policies at the turn of the 20th century. “Today, Our Sunday Visitor stands proudly with our fellow Catholic apostolates and with our bishops in resisting this challenge,” the publication announced in a press release. Perhaps nothing so encapsulated President Obama’s fall from grace with American Catholics than the participation of the University of Notre Dame, where his invitation to deliver the 2009 commencement address stirred controversy. Notre Dame does not qualify for the administration’s religious exemption because, although it is “firmly grounded in the tenets of Catholicism,” it does not primarily employ or serve other Roman Catholics. “Notre Dame cannot be forced to give up its beliefs on abortifacients, sterilization, or contraception, nor its devotion to serving all mankind, without violating its religious beliefs and compromising its religious purpose,” the university’s legal complaint states. Fr. Jenkins writes that he had registered his objection to the administration’s overly narrow religious exemption numerous times without satisfaction. The lawsuit argues the government has no compelling interest in the mandate, that forcing a religious institution to finance abortifacient drugs is not the least restrictive means of providing them, that the rule burdens the university’s free exercise of religion, and that it favors those religions that either favor abortion or have no interest in serving members of other religions. The university’s health care plan is not grandfathered, and officials maintain they are not certain if it qualifies for the one-year “safe harbor” that extends the implementation of the HHS mandate past the election, into August 2013. The uncertainty over future regulations makes it impossible for the university to plan for its future. If religious institutions fail to comply with the regulations promulgated next year, they could face a penalty of $100 per day per individual covered. In an online video, Chancellor Jane Belford of the Archdiocese of Washington said that could cost that diocese $4.2 million a year. Is it just by coincidence that the film “For Greater Glory” was just recently released just when all this intervention by the government into Church with all of the mandates that require the Church to go against its moral and ethical teachings. I would not be surprised to see more Bishops join in the lawsuit (mine has not, yet).